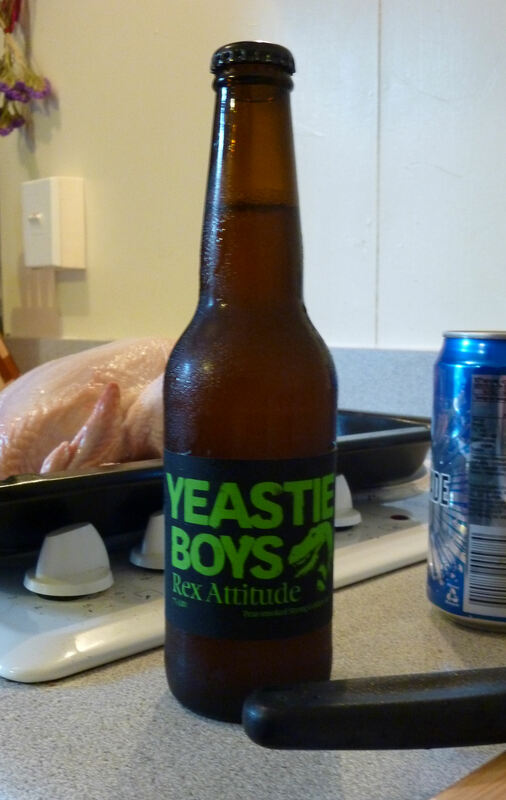 This entry was posted in My Alcoholic Kitchen and tagged Cooking with Beer, Food, Rex Attitude, Yeastie Boys by Dylan J. Bookmark the permalink. Also Rex Attitude is awesome…. but then I like my Whisky’s “peaty” as well. We don’t have Rex here but I like the sound of beer gravy. Yum. Hi Bunny. Your blog says you’re in Auckland. 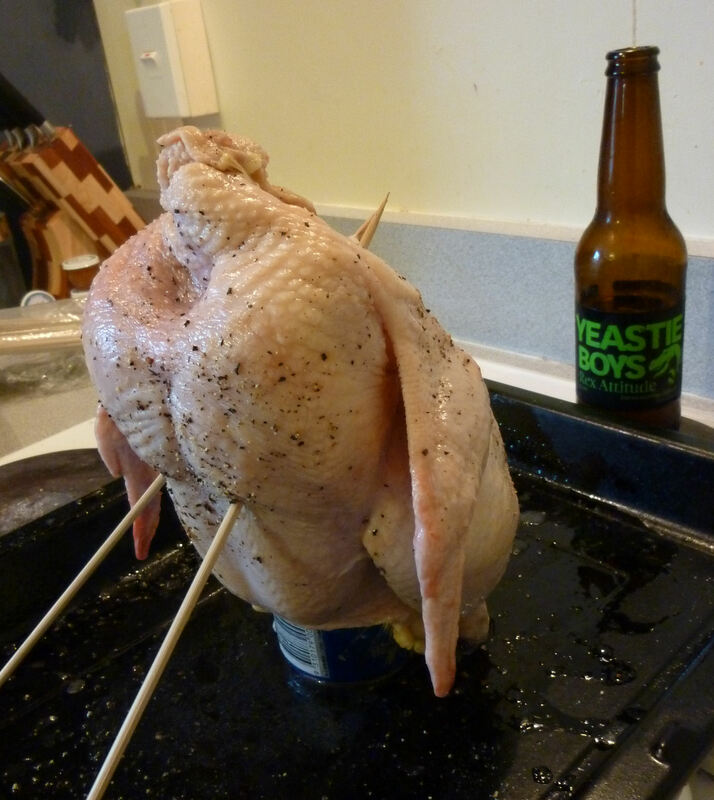 Surely somewhere up there stocks the Yeastie Boys range. 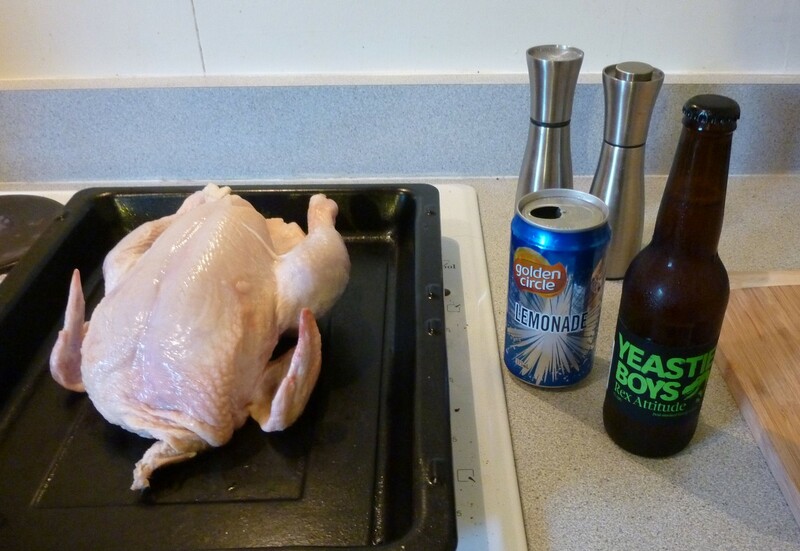 You should also be able to get a similar smoky flavour using half a nip of Islay whisky in the gravy. Rex Brine for sure! 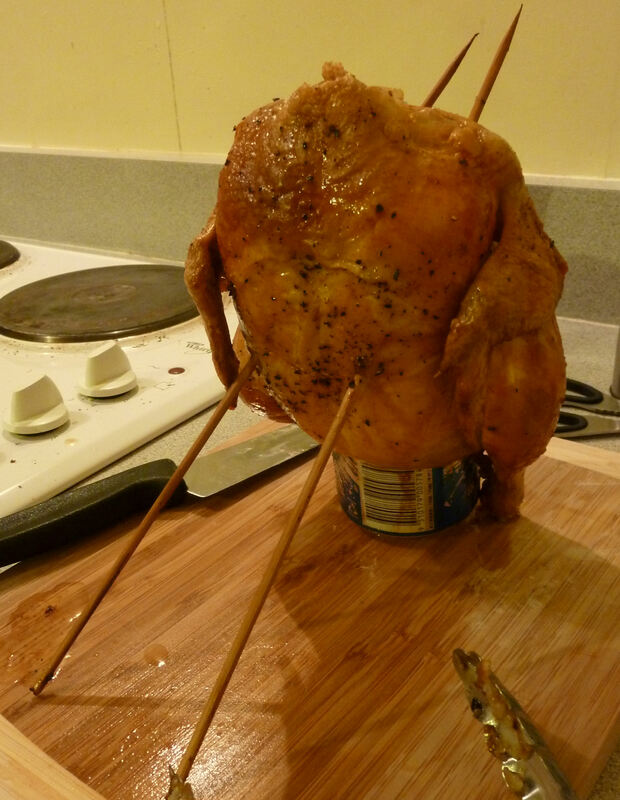 I also love the way the stand up chucken looks a little like a T-Rex, oh great gravy wizard@rocket science.